Welcome Fabienne Serrière (AKA fbz) of KnitYak! fbz (prounounced “fobs”) got started in hardware by designing an audio studio from scratch. This was affected by the falling of the world trade center, as it promoted her to “get the job done” status as an intern and then later “director”. fbz was also an early writer for Hackaday and Engadget. She also attended the ITP school (part of NYU) and developed a super low latency linux computer for dancers. It used the Cricket from MIT and PC/104 hardware. During a hackathon a few years back fbz, Edwin and Ralph built a connected massage couch (with lots of other fun bits) that also happened to run CouchDB. Not content with the space and attention given to hardware at earlier CCC, fbz started Hardhack. It was a convention purely for hardware. It later became a part of ToorCon as well. The hw scene in Europe (specifically Germany) was and is very strong. fbz and her husband toured around and decided on Seattle as a place to start a business. The Seattle community has lots of SV transplants and has mentoring and services via programs like SCORE. The logistics are strong because Amazon is located there. The company is called KnitYak and they currently have a Kickstarter project trying to raise $100K. This will go towards an industrial knitting machine, with the goal of developing hardware and software that will allow users to submit custom designs directly, similar to Shapeways. This started via a project with Travis Goodspeed where they designed a top line scroller machine called “Multi threaded banjo dinosaur knitting adventure 2D extreme!!!”. The winner got a custom made scarf. The current machine used for this sort of thing is a non-industrial machine, often a Brother KH-930. fbz’s work built off the work of Limor / Becky / Steve of Adafruit. 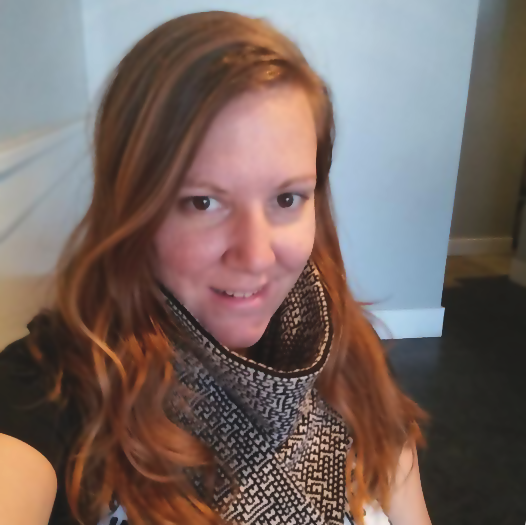 The designs being used for the scarves are Cellular Automata. There are numbered sequences which allow for completely custom designs. One of the designs (#110) is Turing complete. Another looks like spaceships in a line. Dave saw a talk about WW2 coded scarves, which helped during the Belgian resistance. fbz and Sam Muirhead designed an open source QR code hat on camera. This video also is a great way to see how the Brother machine works, including its needle preselection mechanism. Machine Knitting with FBZ: Part II – In Deep Knit from Sam Muirhead on Vimeo. There are others doing custom knitted materials, though not many. There is a custom company in London with lower capabilities that just raised a bunch of money. Disney recently posted about hiring PhDs that are interested in doing something similar, but for intern levels of money. Nike is working on designing custom uppers for their shoes. fbz had to get rid of all her lab when moving to the states from Germany. The awesome orchid ecosystem/case (based on a BBB) had to stay behind, but the environmental monitoring tech will likely get reused to monitor the shipping container where the machine may end up being operated/stored. We had a blast talking to fbz about KnitYak. You can reach her on Twitter (@fbz) and you should definitely back this awesome project and an awesome hardware hacker! So before humans discovered the use of wool, how did sheeps survive? Wouldn’t they eventually get too big to move/eat? Would have loved to hear more about Cyclin 74’Max and CouchDB! Totally different industries, but I’ve always wanted to get into embroidery.. Some very high-tech machines but with very expensive software that allow you to stitch just about anything! I wonder if Fabienne has ever played with one? Also how did she go about learning the different languages? I’d like to learn Finnish, but not sure where to start! When Dave said sheep shaggers I lost it, too funny!